Almond butter… but not peanut butter! Dried cranberries…but not raisins! Tomato sauce…but not tomatoes! And bananas? Never! What about in your family? 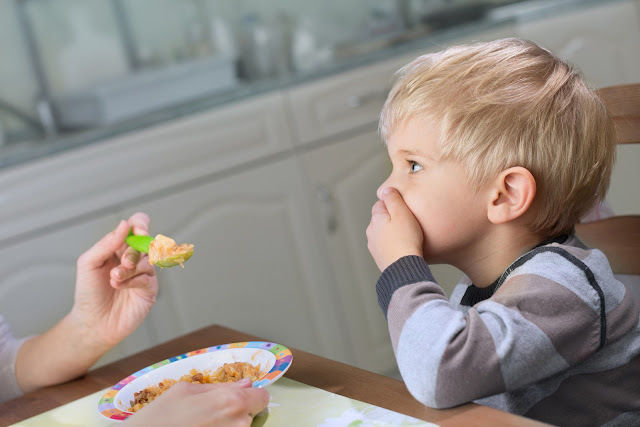 Is your child or grandchild a picky eater? You’re definitely not alone. In fact, nearly 2/3 of parents report that this is an issue for them. Yikes! We also know that American kids are definitely not eating enough healthy fruits and vegetables. According to the CDC, 60% of kids don’t meet the daily recommendations for fruit consumption, and a whopping 97% don’t meet the recommendations for veggie consumption. Yet children need the vitamins, minerals, fiber, and antioxidants that these healthy choices provide. What’s a parent to do? Fortunately, there are some foods that manage to be incredibly healthy while still appealing strongly to almost every kid out there. Know what one of them is? Citrus. The bright flavors, the juicy sweetness, and eye-popping color are close to impossible for even the pickiest kid to resist. What’s more, when you choose Florida citrus, you’ll be powering up your child’s day with vitamin C, folate, potassium, and thiamin, along with fiber, carotenoids, and antioxidants with powerful healthgiving and anticancer powers. 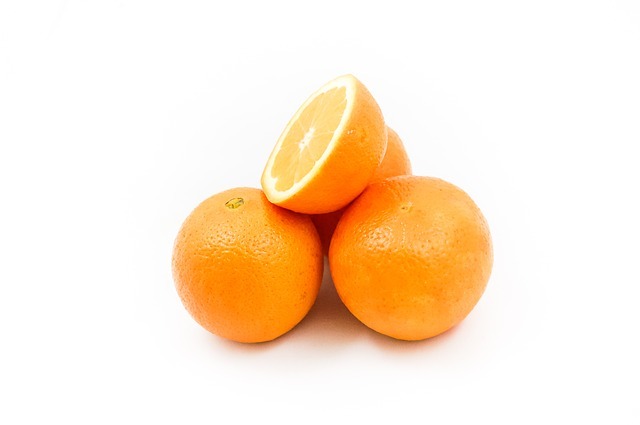 A medium orange packs 100% of the RDA for vitamin C! So, looking for more ways to incorporate healthy, appealing citrus into your picky eater’s day? Let’s start with breakfast. Of course, few people of any age can resist fresh-squeezed citrus juice. Even if your child won’t eat much (or anything) in the morning, you can probably get him or her to down a glass of OJ! Valencias are the classic choice, but have you tried squeezing tangerines (the color is incredible) or our favorite, the incredibly flavorful Page orange? And if your kids or teens like drinking their breakfast and are up for something a bit thicker, try one of the many amazing citrus-based smoothies we’ve recommended in the past. At lunchtime, oranges and other citrus are a classic lunchbox pick. These days, the variety of kid-sized, adorable, seedless fruits like tangerines, Honeybells, and babybells makes it really easy to mix things up. All that’ll come home is the peel! If you have a larger appetite in your house, a bigger fruit like the sweet, seedless navel orange might be an even better choice. We like to slice navels into orange “smiles” at our house—it just makes them a little more irresistible to a child who might be in a hurry. I never have a problem with these going uneaten. At dinner, you can use citrus to help a reluctant kid to enjoy salad. This almond, berry, chicken, and orange salad with spinach is like an absolute rainbow—in fact, you could even arrange it like a rainbow for younger children. Or go simpler and try scattering succulent sections of tangerine or Honeybell in with spinach, strawberries and cheese for a beautiful side dish that will tempt most children. And I don’t know anyone, picky or not, who could turn down this showstopper of a fruit salad. As for dessert--well, you and I both know that there are a ton of citrus desserts out there, healthy and not. 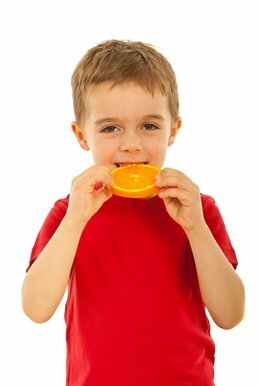 But if you’d like to tempt your kids with some choices that also have pack some nutritional power, how about some simple chocolate-dipped orange slices? It really isn’t a lot of chocolate (and chocolate does have its own health benefits)…and it’s also fresh fruit. A perfect finale for your picky prince or princess.